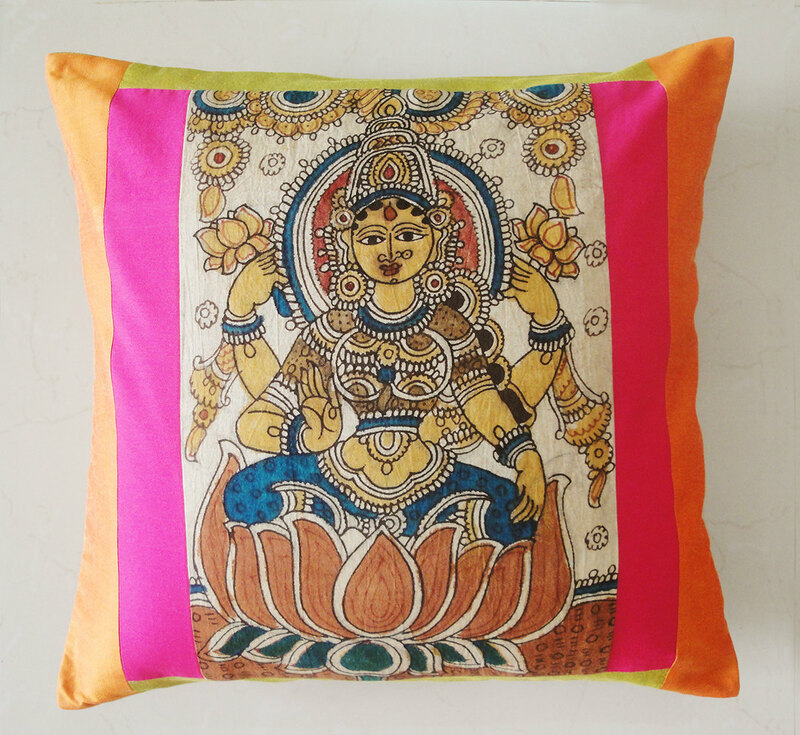 I really like these hand painted kalamkari cushions with the images of Lord Ganesha and Goddess Lakshmi. 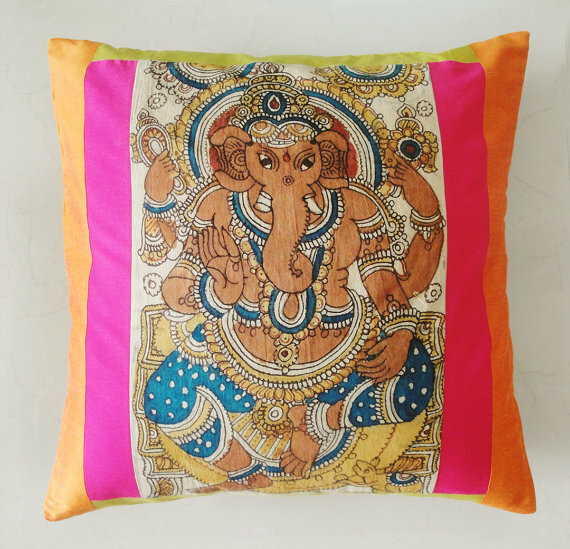 I am drawn to the colorful hues of these lovely cushions! Images : Anek Designs and subject to copyright!